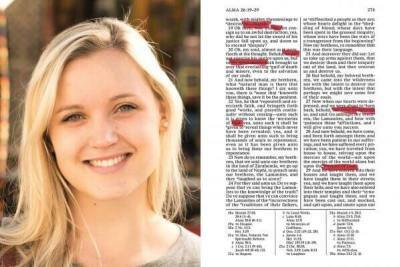 A BYU advertising team found that the best tool for changing perceptions about the Book of Mormon is the Book of Mormon itself. 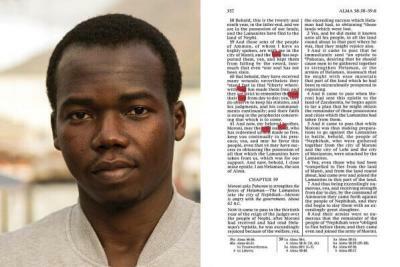 They got people from around the world of all faiths to read just one page of The Book of Mormon: Another Testament of Jesus Christ. Jeff Sheets and his BYU AdLab team set up stations in public areas around the world, traveling to London, England; Chicago, Illinois; Cape Town, South Africa; and Sydney, Australia. At each location, the team invited 531 pedestrians (one person for each page of the book) to read a page of the Book of Mormon, looking for references to God and Jesus Christ on their respective pages. Participants not only came from different geographic locations, but had diverse religious affiliations and cultural identities. Sheets explained that the Book of Mormon Social Experiment was a powerful reminder of the similarities of God’s children and the Christian message of the Book of Mormon. Participants were surprised at how much their page related to the practices in their own religion. “Through this experiment, the participants each became a witness that their individual page testifies of Christ,” said Sheets. Below are some of the actual people and the pages they marked up as part of the experiment. 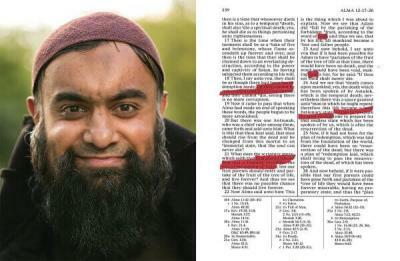 Nazam, United Kingdom, Muslim, page 239. The video below, “Let the Book of Mormon Speak for Itself,” contains quotes from Elder D. Todd Christofferson from the 2017 seminar for new mission presidents. Kirsti, South Africa, Christian, page 274. Sylvanus, Benin, Catholic, page 357. 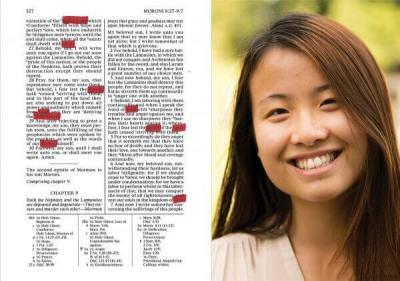 This experiment is just one way to creatively invite people to read the Book of Mormon. What will you do? 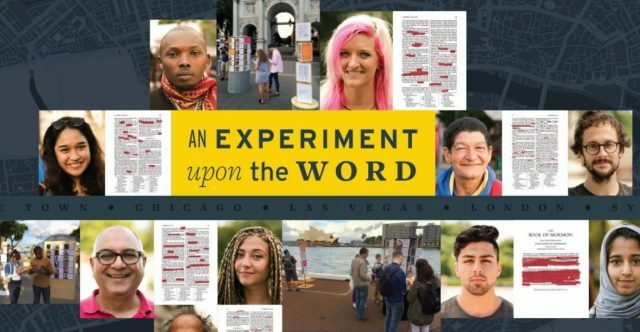 Learn more in the articles “An Experiment upon the Word” in BYU Magazine and “Elder Christofferson Says Book of Mormon Is ‘Tool of the Harvest’” from the Church News.